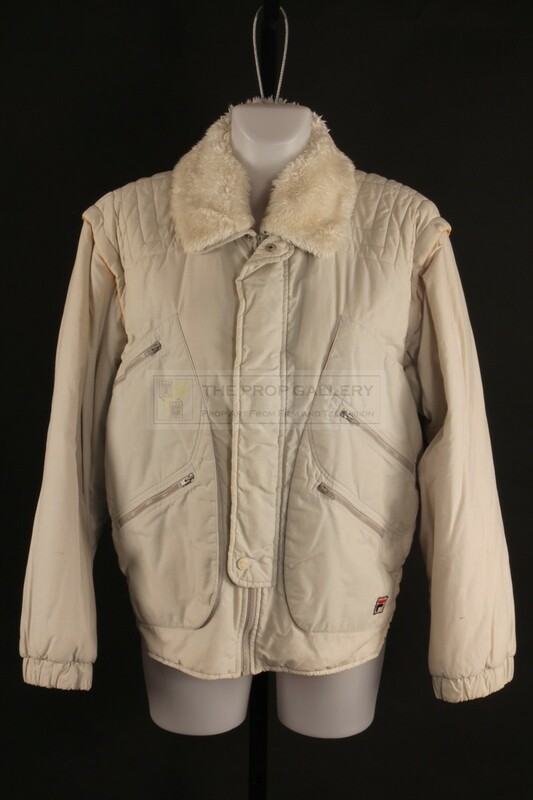 An original costume used in the production of the 1987 James Bond picture The Living Daylights starring Timothy Dalton as the suave spy. 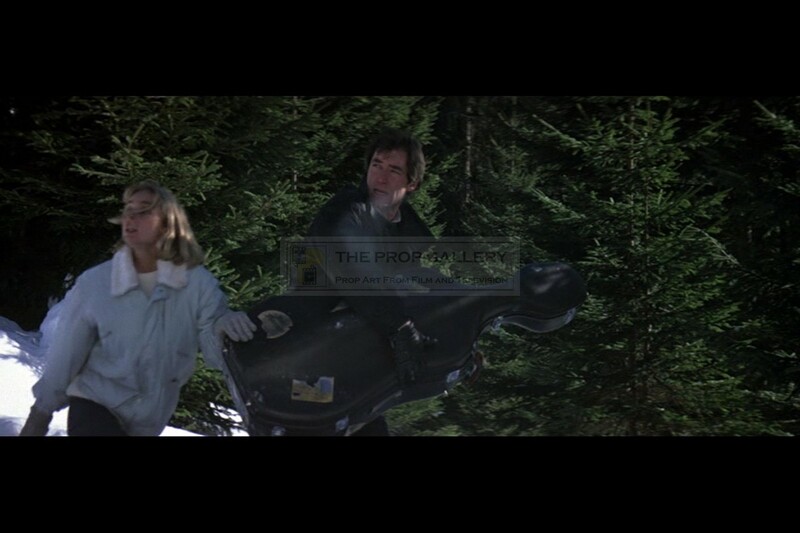 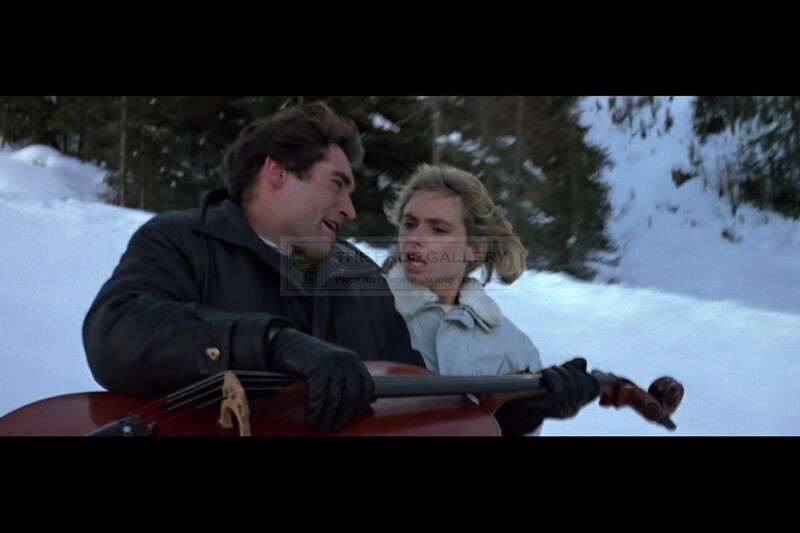 This is an original ski jacket worn on screen by Maryam d'Abo as Kara Milvoy, the cellist girlfriend of General Koskov (Jeroen Krabbe) who later becomes Bond's love interest. Kara can be seen wearing a jacket of this style from the scenes where Bond picks her up from the apartment and throughout the exciting car chase sequence featuring the Aston Martin which culminates in the pair escaping aboard the cello case, it arguably represents her signature wardrobe of the picture. 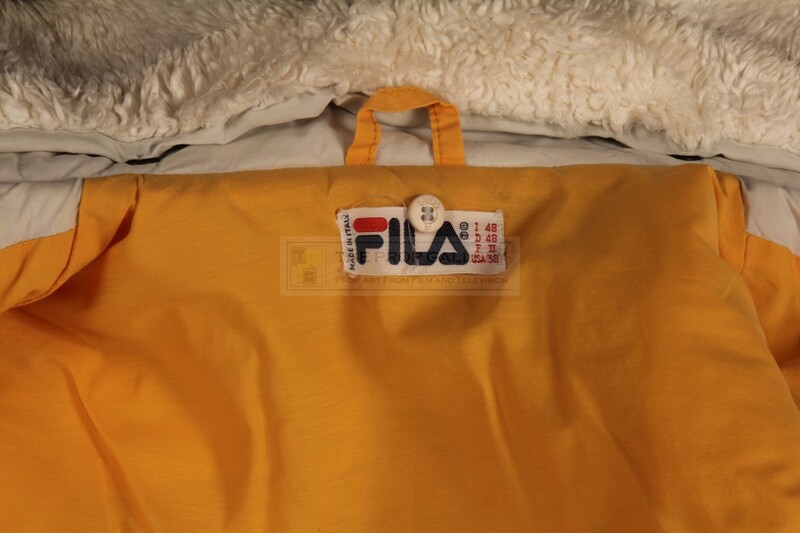 The white Fila branded jacket features zip off arms and a removable faux fur collar with various pocket detail to the front and a distinctive orange lining. 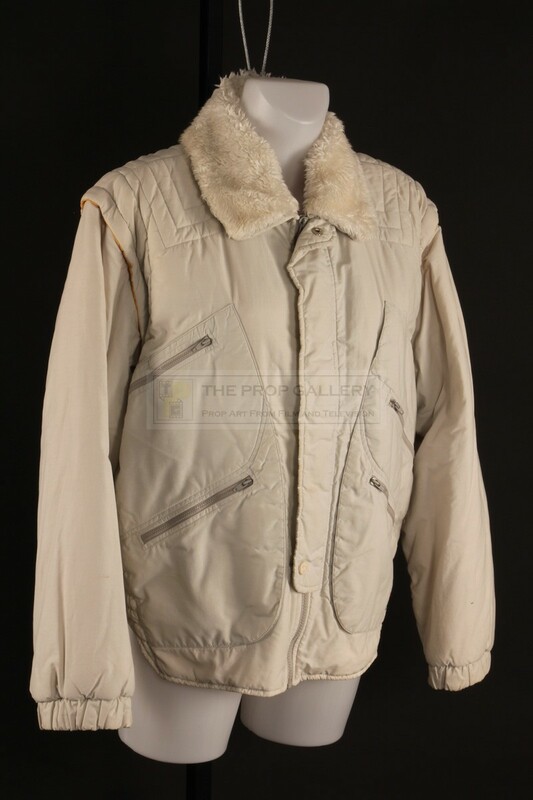 The jacket can be screen matched to various scenes of the movie and sports immaculate history having been obtained by The Prop Gallery directly from the collection of a senior crew member and veteran of several James Bond pictures. 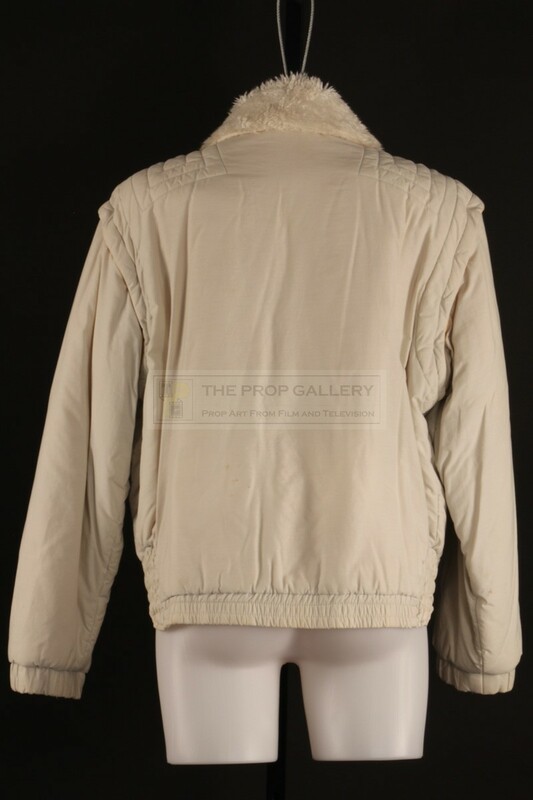 The jacket remains in excellent condition throughout with some very minor marks and light wear consistent with use during the production, it represents a rare and recognisable example of screen worn Bond girl wardrobe. 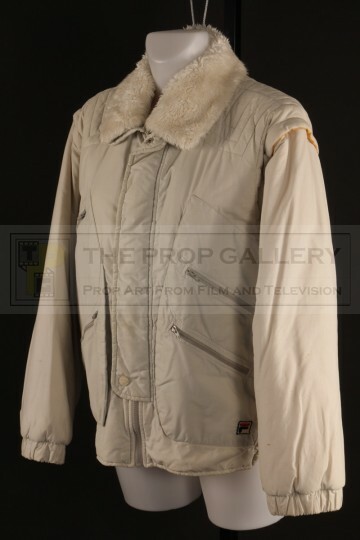 A fine example of original wardrobe from one of the most celebrated franchises in cinematic history.